Is Gray really the new 'White'? While I have to admit, the color gray has taken front row in paint colors for rooms, I'm not so sure about kitchen cabinets in gray for traditional kitchens. However, for a more contemporary kitchen design, I believe it would look smart, fresh and clean-lined. Gray cabinets would flow beautifully alongside stainless steel appliances. 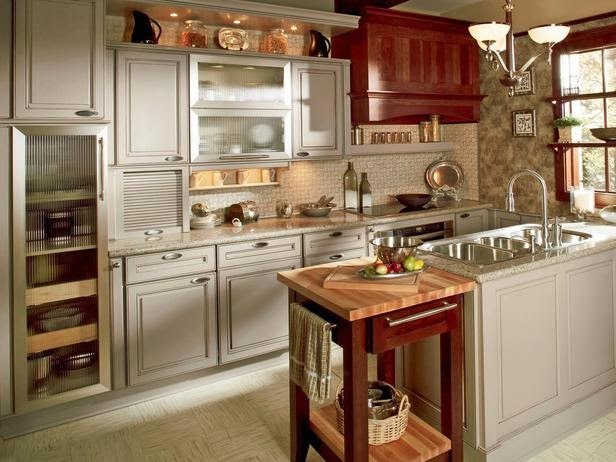 Looks great with brushed nickel and especially chrome faucets, cabinet hardware. Up, up and away Upper Cabinet doors - yay or nay? Again, I see a neat, crisp contemporary kitchen making great use of the Blum lift system for kitchen cabinets. For traditional kitchens, I have to say, I love the trend of incorporating open shelves vs. walls and walls of cabinets with doors. For any of you who grew up in my era, we have a distinct memory of a certain shade of avocado green, that we swear we never want to see again. 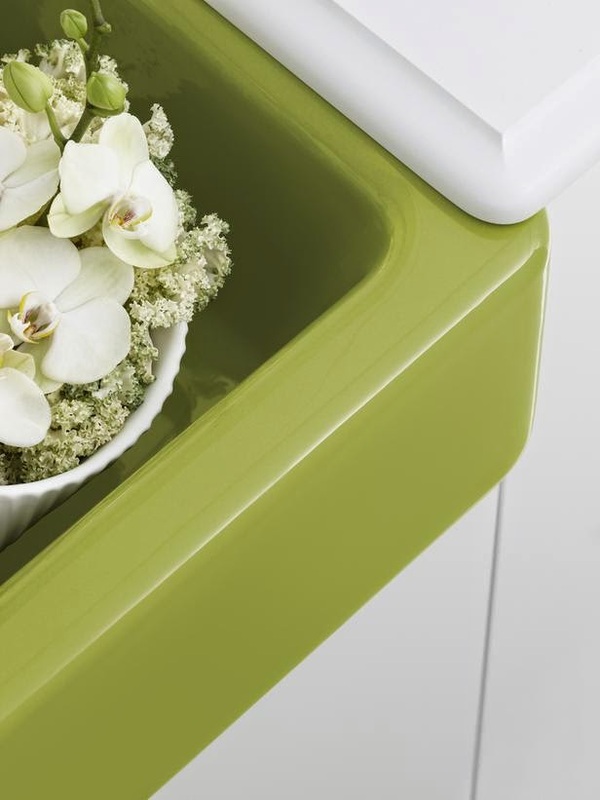 Surely, the sink above is not that shade of green, but I suggest only the most daring should choose the Jonathan Adler sink from Kohler. It's not for everybody, but if you must have it, by all means - go for it! I was wondering.... what trends are you thinking of and what are your thoughts about trying something you've never tried before? If that sounds like you, you are actually going in the right direction. Any change starts with understanding where you are now. Once you know you need help, the next step is easy. One of my client's problems was selecting a lighting fixture that would give her home (that hadn't seen good light or a change in years) a new look, a look that said she was ready for change, ready for a new beginning. We started with sizing up the correct size of the chandelier for the table and then determined what finish would work (based on finishes used elsewhere in her home). We talked about what she doesn't like and what she'd seen that captured her interest. Before long, she had her new chandelier and a new attitude that she could have what she desired and deserved. Today is a great day to get going in the direction you want. Whether it's lighting, room layout, or color - you've got what it takes to make the difference. It doesn't matter if you need another 'eye' to help you decide. What matters is that you are saying yes to a better home, a happier life and a new you.